For decades, the May brothers — identical twins Gaylord and Graham — were synonymous with mathematics at Wake Forest. J. Gaylord May, who retired in 2009 after teaching for 48 years, died on Aug. 30 in Columbia, S.C. He was 81. He was among the longest serving professors in Wake Forest history. A memorial service will be held at 2:30 p.m. on Mon., Sept. 8, at Centenary United Methodist Church in downtown Winston-Salem. The family will receive guests after the service. He is survived by two sons, Michael and Gordon; and four grandchildren. The May brothers began teaching at Wake Forest in 1961. Their similar appearance often confused students. One way students could tell them apart: Gaylord May smoked a cigar or cigarettes; his brother smoked a pipe. “There are stories about one taking over a class for the other one, and the students would not know that it was the other May teaching the class,” said Gaylord May’s oldest son, Mike. The May brothers joined the faculty when the math department was transitioning from Old Campus stalwarts, such as Hubert Jones, “Pop” Carroll, Kenneth Raynor and Roland Gay. Chairman Ivey Gentry (’40) hired a number of new faculty members including the May brothers, Fred Howard, Ben Seelbinder and Marcellus Waddill in the early 1960s. Graham May died in 1996. Gaylord May was the last of that group to retire. “He (Gaylord) was a super colleague; very collegial, very friendly, very supportive,” said Professor of Mathematics Richard Carmichael (’64), who took classes from both May brothers when he was a student. Gaylord May taught elementary probability and statistics courses and upper-level classes on operations research and mathematical modeling. He was also a consultant at Bell Laboratories in Greensboro, N.C. He was an ardent Wake Forest football and basketball fan. When he retired in 2009, his family held his retirement party at BB&T Field before Wake Forest’s season opener against Baylor. 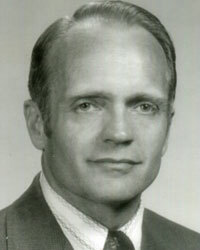 He also enjoyed playing golf and tennis and was a member of the Rusty Runners Club, made up of retired faculty members. The May brothers grew up in Union, S.C., and both graduated from Wofford College. Both earned Ph.D.s in mathematics from the University of Virginia. Both served as officers in the U.S. Army at the Aberdeen Proving Ground in Maryland before joining the Wake Forest faculty. Memorials may be made to Centenary United Methodist Church, 646 W. 5th St. Winston-Salem, NC 27101.